Managing the St. Croix River has sparked tremendous controversy due to conflicting uses of the river. At risk is the water quality and aesthetic value of this National Scenic Riverway. 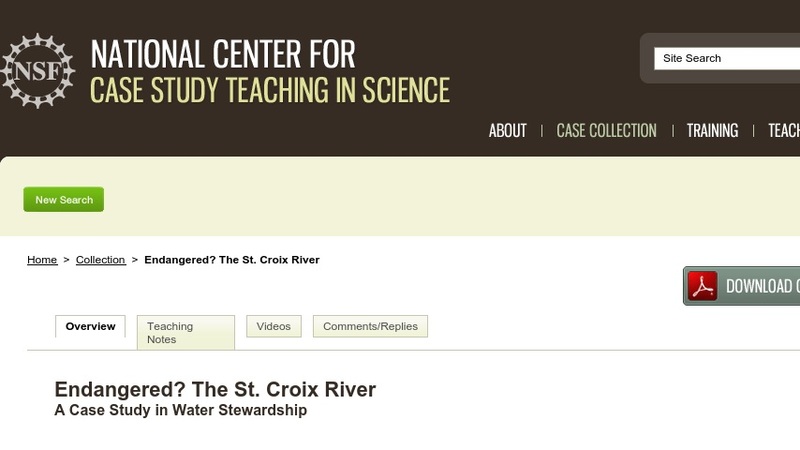 The drama unfolding around the St. Croix River is used in this case study to illustrate water resource concepts and the difficulties that can arise when making decisions about natural resources. Designed for a water resources course taken primarily by undergraduate juniors and seniors, the case could be used effectively in classes covering water quality, water policy, environmental policy, limnology, stream ecology, environmental studies or science, or environmental decision making.